Some of the students from Victoria were offered a Melbourne Chancellor's Scholarship. The Melbourne Chancellor’s Scholarship offers students a generous, HECS-exempt Commonwealth Supported Place in one of the University of Melbourne’s undergraduate degrees and for Victorian secondary school leavers a $5000 annual allowance for the duration of their undergraduate degree. Scholars from interstate will receive a HECS-exempt place as well as an annual allowance of $10 000 over the duration of their undergraduate degree. Students will also receive a Melbourne Global Scholar’s Award of up to $2500 for an approved period of overseas study as an Exchange or Study Abroad student. Students who achieved an ATAR or equivalent of 99.9 or above are eligible, as are Bachelor of Music applicants who achieved an ATAR or equivalent of 99.85 or above and Indigenous students who gained an ATAR of 90.00 or above. 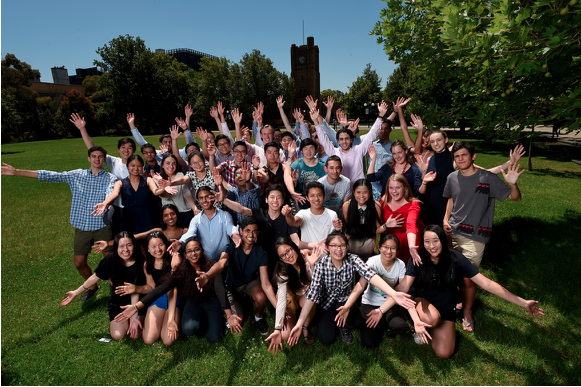 Congratulating the new scholars, University of Melbourne Provost Margaret Sheil said the University would provide these young achievers with a world-class education, while their presence would enrich the existing academic community. “We’re excited to be welcoming another outstanding group of students to the University community in 2018,” Professor Sheil said. This year the University was ranked number one in Australia for the seventh straight year in the Times Higher Education (THE) World University Rankings. Roshica Ponnampalam (Ruyton Girls’ School).